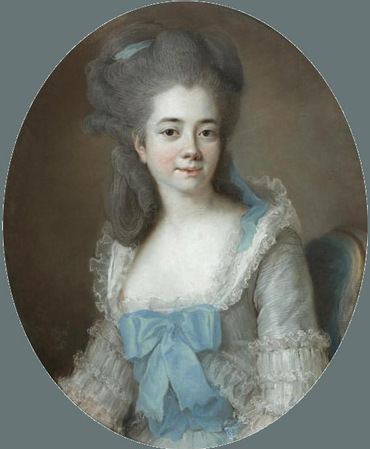 Yolande Gabrielle Martine de Polastron, Duchesse de Polignac. View a color image of this portrait. Musee promenade de Marly-le-Roi, Louveciennes. 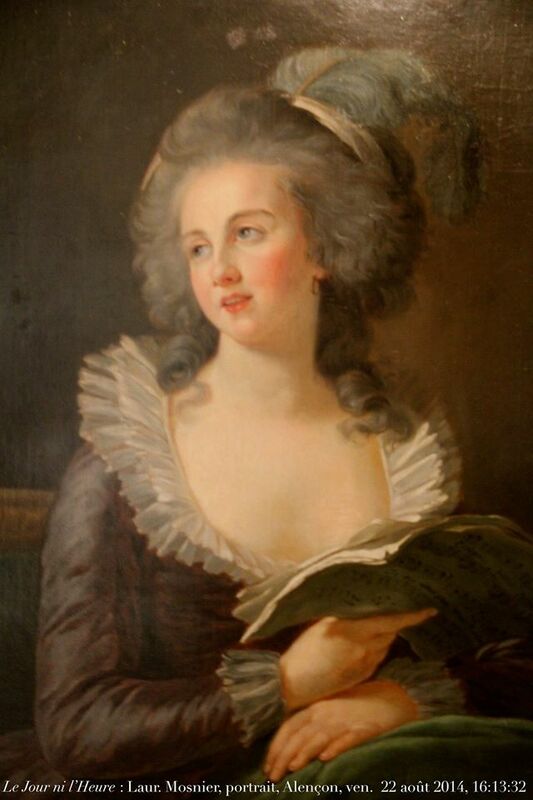 Born Marie-Rose Savalette de Lange, she married Etienne Rene Agnan Sanlot, fermier general (tax collector). They lived in Paris and chateau du Plessis near Blois. Vigee Le Brun also painted her father M. de Savalette, and brother M. de Lange. 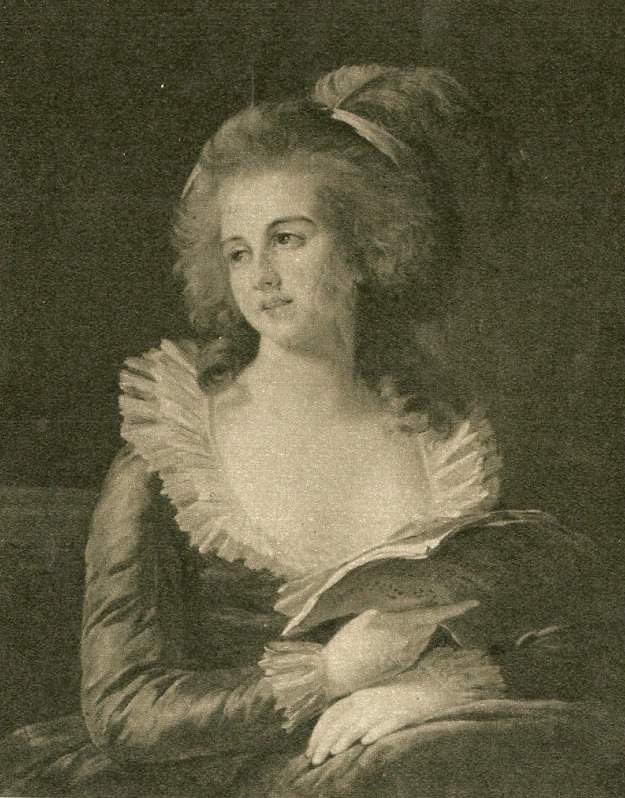 Corisande Armandine Sophie Leonie Helene, Countess of Tankerville. Lady Ossulston nee duchesse de Gramont (1783-1865) married Charles Augustus Bennet, 5th Earl of Tankerville in 1806. 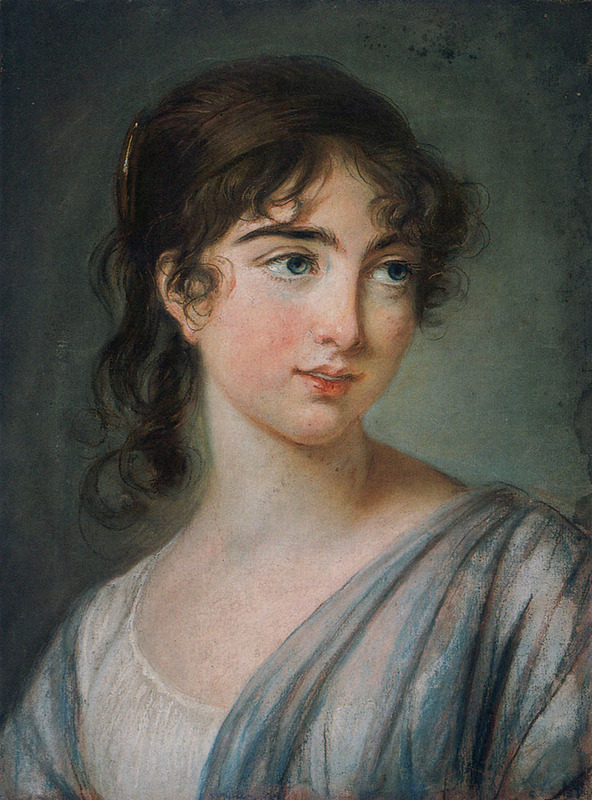 She was the daughter of the Duchesse de Guiche (Art Pages 158, 97, and 25), the grand daughter of the Duchesse de Polignac (Art Pages 158, 9) and the older sister of Aglaé Angélique Gabrielle de Gramont (Art Page 165).